In celebration of National Library Week 2016, Musselman Library held its third annual Edible Book Festival. Library staff, faculty, and students created many book-inspired treats to share with the campus community. 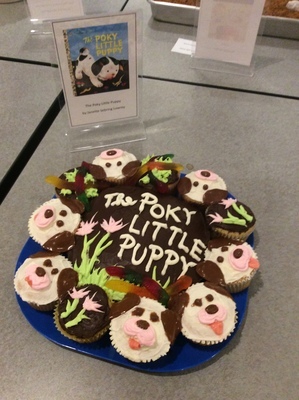 Entrants were awarded prizes in the categories of best taste, best look, punniest, and best in show. This submission was created by Christina Bassler.